A previously unloved corner of a Honiton carpark has been transformed into a vibrant wildlife garden thanks to local volunteers. 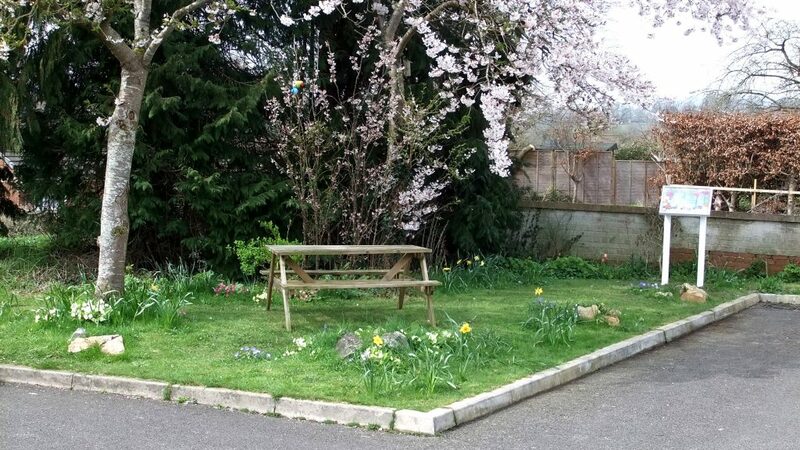 A previously unloved corner of a Honiton carpark has been transformed into a vibrant wildlife garden thanks to local volunteers. The Beehive Garden Group, set about planting the garden, outside The Beehive community and arts centre in Honiton, with the help of our Blackdown Hills Natural Futures project. The group has gradually been adding bulbs and wildflowers with a view to attracting pollinating insects, including bees, butterflies, hoverflies and ladybirds. The garden has become a real haven for wildlife, with the creation of a bug hotel and slow worms living in the compost. One of the volunteers spotted a hedgehog in the garden recently – we’re all hoping there’ll be more to follow, as hedgehogs have been in significant decline in recent years. The Beehive Garden Group was one of a number community nature projects around the Blackdown Hills Area of Outstanding Natural Beauty (AONB), that we were able to support through our Blackdown Hills Natural Futures project. 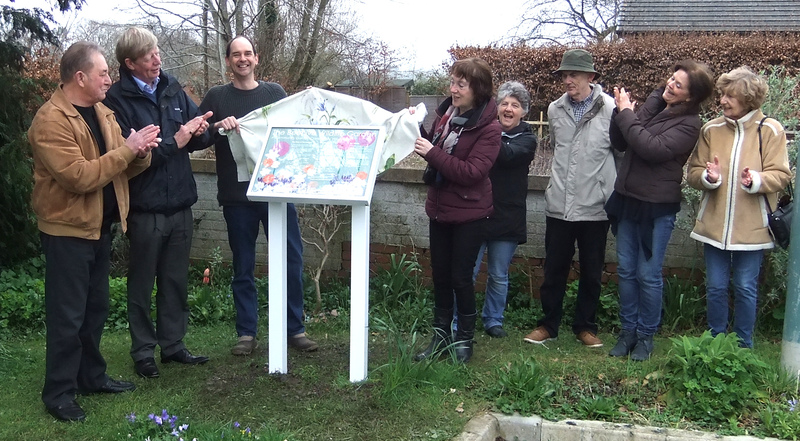 For the Beehive Garden Group, this included a visit from the Bumblebee Conservation Trust, and funding for a new display board and picnic bench to encourage more people to stop and enjoy the garden. If you’re in the area, you’re more than welcome to come along and make the most of the wonderful wildlife. Why not stay for a picnic? Click here for directions to the Beehive.